The security and safety of tourists is a priority responsibility of the government. Security is a key consideration while selecting a holiday or travel destination. 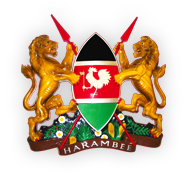 The Government of Kenya is thus committed to ensuring the security and safety of all visitors, citizens and residents. Kenya has not been spared by terrorist acts aimed at western targets. The 1998 bombing of the Embassy of the United States in Nairobi dealt a devastating blow to the tourism industry in Kenya. Subsequent travel advisories by the western countries against travelling to Kenya severely affected the country given the significant role tourism plays in the economy. - Established a Tourist Police Unit to specifically focus and administer tourist related-security. - Created National Counter Terrorism Centre to develop, guide and help address both preventive and post-active issues related to terrorism. The centre is to spear-head a multi-disciplinary response to terrorism. - Enhanced information exchange, and co-operation with other international law enforcement agencies. - Adopted community policing as a strategy aimed at improving police/community relations in order to pre-empt, prevent or apprehend criminals and/or suspects. Instability in some neighbouring countries has resulted in the infiltration of small arms into the country. Exacerbated by significant levels of unemployment, a wave of local crime can be experienced. The government is aware that such crimes impact negatively on the tourism industry. - Payment of better remuneration and welfare of the police force to avoid susceptibility to petty bribery thus negatively affecting diligence of duty. - Implementation of a five year programme on the reduction in police/population ratio from the current 1: 1000 to the UN recommended level of 1:650. - Implementation of Rapid Response Initiative programme in Nairobi’s Central Business District. The initiative has yielded expected results and is being expanded and replicated to other parts of the country. - Creation of specialised units within the police force to address new generation technology and knowledge based crimes. - Exploring prospects of creating metropolitan police for major cities starting with Nairobi and Mombasa which have high tourist concentration. Tourists have cited problems of harassment by street children, street traders especially along the beaches, and lack of cleanliness in major urban centres, inadequate street lighting, health and psychological insecurity. The government is aware of the above concerns and a lot has already been done to rectify the situation. Street children have been relocated and most of them put back to acquire relevant forms of education. Younger ones have been relocated to children’s homes across the country. A few stray ones continue to be netted. Street traders have been given designated areas to do business. Relocation of beach traders is still in the government programme. The tourist police however, keep close surveillance on the behaviour of anybody doing business at the beach. Harassment of tourists by the beach traders has thus reduced drastically and will soon be a thing of the past. Many urban centres have embarked on beautification program. Nairobi has the green city programme in which city council intends to create a green clean Nairobi. Mombasa, Kisumu, Nakuru among others are all in the process of cleaning their environment. Streetlights including traffic lights are operating in main streets of the major urban centres in Kenya. However, more work is still to be done to rehabilitate all the street lighting. Malaria still remains the greatest single health threat to tourists visiting Kenya. However, there should be no problem if tourists adhere to medical advice on taking malarial prophylaxis before travelling to the tropics. Psychological insecurity has been addressed in all the measures enumerated above hence tourists should feel secure to visit Kenya.